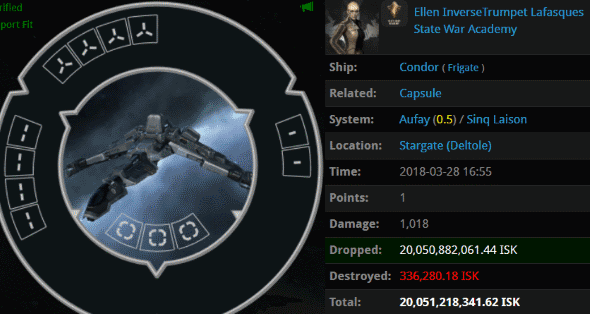 Ellen InverseTrumpet Lafasques lost 20 billion isk while autopiloting an unfit frigate. Agents K0mand0 Sperg and Yenife Asire did what the Code would have them do: They ganked the Goofus and ganked her good. The Anti-Gankers say, "Don't gank." So where are they? Rebels, defend this Condor pilot--or admit the truth of the Code. Somehow the Loot Fairy managed to overlook this stack of skill injectors. They'll be put to proper use now. Scratch two more ORE Strip Miners, thanks to Mali Bu for putting them on a Covetor, and Agent Ilithyia Borgia for responding accordingly. Another isk-tanking fail in a 0.9 security system. As if our Agents don't patrol every system in highsec! PraetorianTuga installed shield tank and armor tank mods on his hauler, but apparently the effort exhausted him. No longer able to resist his bot-aspirant greed, the carebear reversed course mid-fit and equipped cargo expanders. By contrast, there was only a single-minded sense of purpose in Agents Joel Kusion, Jayson Kusion, Jason Kusion, Justin Kusion, Jake Kusion, Johnathan Kusion, Joseph Kusion, Jeremiah Kusion, Joshua Kusion, Jayden Kusion, and Jackson Kusion. Guess who won? strangerdeep thought he could hide his freighter and its cargo behind hitpoints. The Code cannot be denied so easily, however. 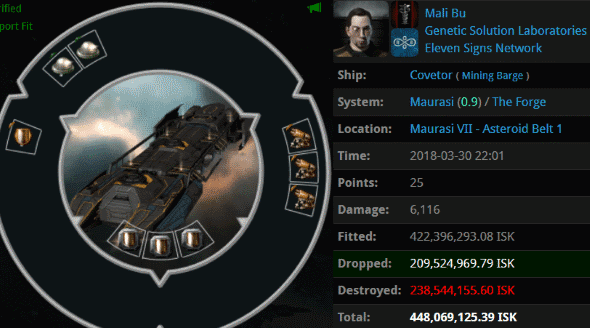 New fleets of multiboxers have been joining forces, creating the opportunity for justice on a heretofore unimaginable scale. 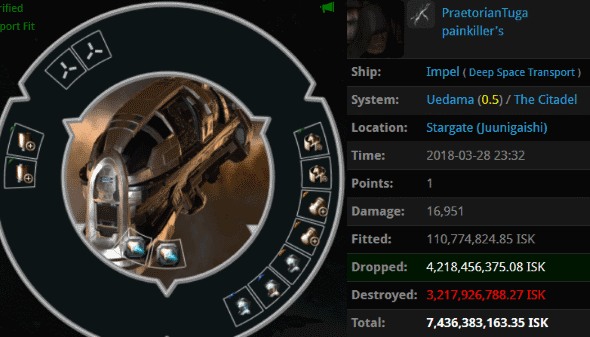 Highsec no longer needs to wait for Burn Jita to see massive gank armadas in action. Agents Braggs Seyllin, Jason Kusion, Jake Kusion, Justin Kusion, Joel Kusion, Jayden Kusion, Jayson Kusion, Johanthan Kusion, Joshua Kusion, Werner Karl Heisenberg, Linus Pauling, Edwin Powell Hubble, Wolfgang Ernest Pauli, Jeremiah Kusion, Jackson Kusion, Amandus Olson, Erwin Schreodinger, James Prescott Joule, Joseph Kusion, Tim Berners Lee, DaergaarTWO, Joseph John Thomsom, Louis de Broglie, patyooki, Daniel Chanline, erobb, Shy Elf Trap, tumblr ptsd, oink piggu, James BIG BONED, Amy Seyllin, PogChampion, Serious Web Developer, The Confiscator, Amber Seyllin, Ashley Seyllin, Barbie Seyllin, Bailey Seyllin, Alexa Seyllin, Brandy Seyllin, Becky Seyllin, Bambi Seyllin, Allison Seyllin, brainlet, and HSM Rear Admiral showed the Uedama system once again what elite PvP is. 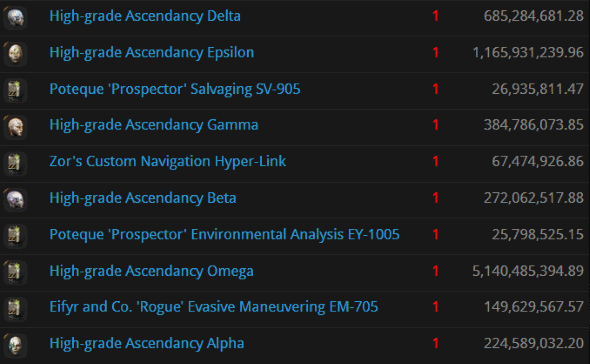 Nullsec may be fueled by isotopes, but highsec is fueled by the awesome power of the Code. Obviously. Everyone knows that Uedama is camped by the mighty CODE. alliance, but so is Niarja--and every other conceivable passage through highsec. They don't call it New Order territory for nothing. Sonne Engle was compelled to learn this lesson by Agents patyooki, brainlet, Braggs Seyllin, erobb, Daniel Chanline, Shy Elf Trap, Joel Kusion, Jayson Kusion, Jake Kusion, Serious Web Developer, tumblr ptsd, PogChampion, Jason Kusion, James BIG BONED, Joshua Kusion, Justin Kusion, Jackson Kusion, Jayden Kusion, Joseph Kusion, Johnathan Kusion, Jeremiah Kusion, oink piggu, and The Confiscator. This is what happens when you don't get a permit. 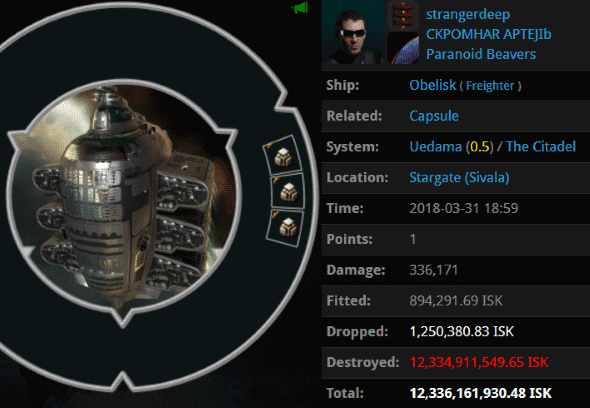 Uedama is not an ideal place to be hanging around if you've got 8 billion isk in implants. 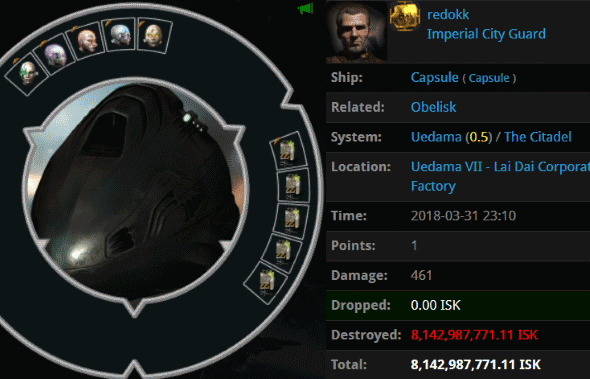 redokk and his 2.4 billion isk freighter managed to get caught in Uedama. Interestingly, redokk wasn't like the typical freighter pilot who gets caught at a stargate: He was at a station when our Agents came calling. No place in highsec is safe for the Code violator. redokk's freighter was ambushed by a gank armada with more than 40 ships. Our heroes braved the station's sentry guns and won a great victory. Agent brainlet and his smartbombs had the pleasure of getting to the pod first. And what a pod it was. Key word: Was. Inflation has really become apparent. 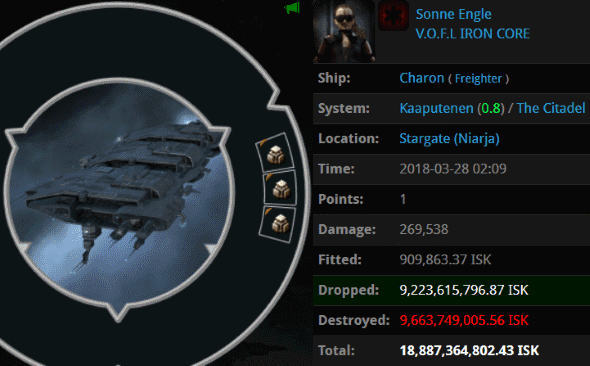 25b ISK losses are the new 5b ISK losses. Or maybe the carebears just had a really bad week. Oh man that last pod. I didn't think there were many blingy pods left out there, so that made my day. Good job Agents! A miner can spend a month mining from dawn till dusk, AFK most of the time, hating the grind, and being bored -- just to make a measly billion or two. Or he can actually play the game, enjoy his time in New Eden, become a good pilot and make more than 10 billion in a single gank. Of course, it's not all about the money. But miners seem very fond of seeing everything in the term of ISK. I'd be very curious to see how they can still defend mining as a worthwhile activity. Because gankers have 0 chill. We hardhats have all the chill.